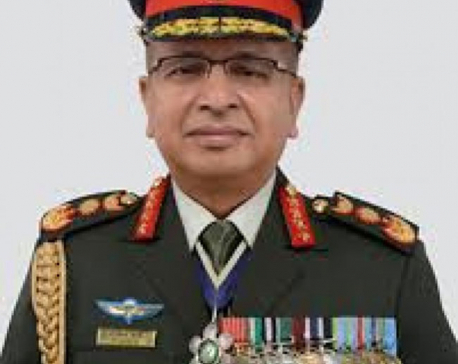 KATHMANDU, Jan 20: The National Reconstruction Authority (NRA) has said the Nepal Army (NA) and Armed Police Force (APF) have agreed to deploy their technical manpower to provide masonry training for building earthquake resilient houses in the earthquake-affected districts. Chief Executive Officer of NRA Govinda Raj Pokharel said that the NA has agreed to deploy as many as 200 technical staffers in three earthquake-affected districts -- Okhaldhunga, Ramechhap and Sindhuli-- to train local masons on earthquake-resilient building construction and also raise awareness about constructing earthquake-resilient buildings. Similarly, the APF has also agreed to deploy its 10 technical staff for organizing similar masonry training in Rasuwa, another affected district, he said. He said that the technical staffs of the security agencies will start training masons in the districts from mid-February. “So, the NRA in coordination with the Department of Urban Development and Building Construction will first provide the trainers from the army and the APF a trainers training in line with the guidelines of the department. It will take another two to three weeks and they will reach the districts for the assigned tasks,” Pokharel said. He said that the technical staffs of the security agencies will be accompanied by the engineers of the department for facilitation and other necessary tasks. The NRA had aimed to train and produce as many as 60,000 construction workers for the reconstruction work in the affected districts in the current fiscal year but as of now, the NRA has provided training to only 15,000 workers. According to NRA officials, many of the trained workers have already left for foreign employment. So, in lack of sufficient and skilled masons, majority of the earthquake victims have not been able to construct their houses despite receiving the first tranche of the house reconstruction grant. And even those who have started constructing houses have been compelled to construct houses by hiring masons who have not received earthquake-resilient building construction training. As many as 476,813 households have already received the first tranche of Rs 50,000 a few months ago but only 20,879 news houses are currently being reconstructed in the earthquake-hit districts in lack of construction workers, according to NRA.